All of us are called to multi-task at our jobs. You need a glove that will stand up to the rigors of the grease and grime. Our MCR Safety series Multi-Task gloves will give you the grip, durability and protection you need for those tough jobs. The MCR Safety series 935HVO Multi-Task style glove has a black 100% genuine Clarino™ Parity synthetic leather palm and fingertips with Black "G" shape gel pad in palm and index finger. 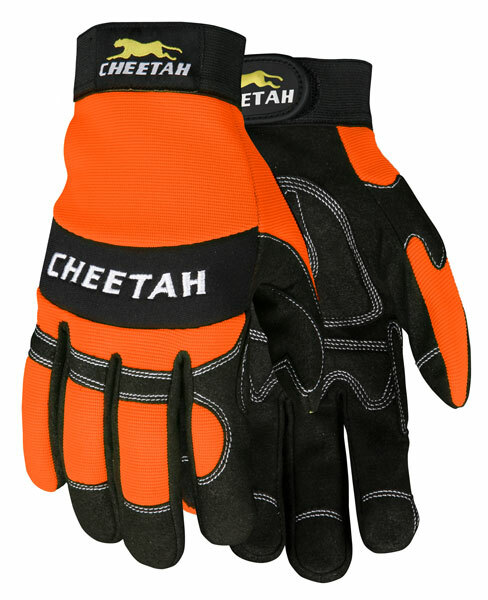 Vented finger sidewalls and fourchettes keep you comfortable. Adjustable hook & loop wrist closure to allow a personal fit. The high visibility ornage back offers greater visibility in low light applications.